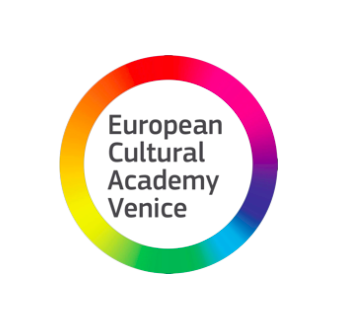 An essential course for curators, artists and art appreciators during the opening, peak and finissage of the Venice Biennale 2019. As artnet.com puts it: "The 2019 edition of the art-world Olympics promises, as usual, to be the international art event of the year. Artistic director Ralph Rugoff's central exhibition is based around the phrase "May You Live in Interesting Times" and is expected to address the weighty issue of fake news—with a healthy dose of Rugoff's trademark humor." It is "the biggest, splashiest, and the most anticipated" art event in 2019. The course takes you behind the scenes of the Venice Biennale providing exclusive insights into the most interesting art event of the year. The programme allows you to experience the Biennale the right way: through meeting the organisers and artists, having intimate conversations with participants, and curators. You will understand the Biennale's key stakeholders and explore your possible projects in it. You will visit the main venues, the most important collateral events and preview parties. It is a structured and inspiring experience. The course takes you behind the scenes of the Venice Biennale providing exclusive insights into the most interesting art event of the year. The programme allows you to experience the Biennale the right way: through meeting the organisers and artists, intimate conversations with participants, and curators. You will understand Biennale's key stakeholders and explore your possible projects in it. You will visit the main venues, most important collateral events and preview parties. It is a structured and inspiring experience. ECA creates a space that celebrates and nurtures creative ambition. Here you and your peers from around the world are immersed in a collaborative, creative and inspiring environment. The course starts in Venice a few days before the official opening so you can observe the setup and see Venetian palaces before they open to public, have site visits and attend lectures with our renowned guest speakers. It will be a useful and insightful experience for newcomers and art world professionals alike. We advocate for an honest and constructive approach to education. We openly discuss artistic, commercial and networking challenges in the industry. Our lecturers share real cases and numbers behind their projects. As one regular attendee puts it: "Everybody comes to the Venice Biennale – if it is good – I am happy, if it is bad – hey, it is still Venice." The opening and final week of the Biennale attract the art world to Venice. The programme is an excellent way to join the community. 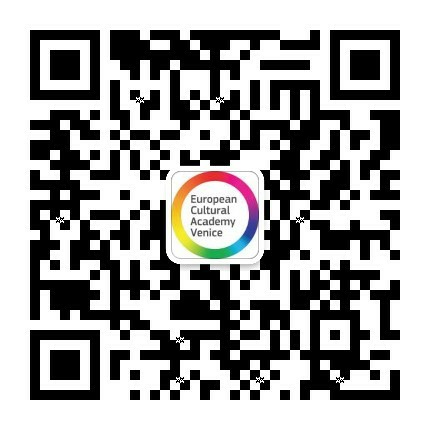 ECA and its international alumni network will support your after the course as well. The course welcomes professionals from international cultural organizations, museum workers, independent curators and artists. Art lovers and students looking for inspiration and knowledge are also welcome. On average there are around 11 nationalities per group. ECA alumni network is a powerful, inspiring community. The dynamic relationships and idea exchanges with fellow students is so valuable. The course gave me sense of validation and calm regarding the direction of my career and personal path through the world of art and culture. The networks I was able to create during last summer's course at the European Cultural Academy have enabled me to put together my first exhibition in Amsterdam, just as much as the exhibitions I viewed and all the knowledge I gained in Venice have. ECA is an awesome experience for the beginners and professionals likewise. Beginners can get first-hand insights into the industry of visual arts premium events, and professionals get access to a wide network and can position their work in a global context. The dynamic relationships and idea exchanges with fellow students is very valuable. The course gave me a sense of validation and calm, regarding the direction of my career and personal path through the world of art and culture.